Since the early days of film, critics and theorists have contested the value of formula, cliche, conventional imagery, and recurring narrative patterns of reduced complexity in cinema. Whether it's the high-noon showdown or the last-minute rescue, a lonely woman standing in the window or two lovers saying goodbye in the rain, many films rely on scenes of stereotype, and audiences have come to expect them. Outlining a comprehensive theory of film stereotype, a device as functionally important as it is problematic to a film's narrative, Jorg Schweinitz constructs a fascinating though overlooked critical history from the 1920s to today. Drawing on theories of stereotype in linguistics, literary analysis, art history, and psychology, Schweinitz identifies the major facets of film stereotype and articulates the positions of theorists in response to the challenges posed by stereotype. He reviews the writing of Susan Sontag, Roland Barthes, Theodor W.
Adorno, Rudolf Arnheim, Robert Musil, Bela Balazs, Hugo Munsterberg, and Edgar Morin, and he revives the work of less-prominent writers, such as Rene Fulop-Miller and Gilbert Cohen-Seat, tracing the evolution of the discourse into a postmodern celebration of the device. 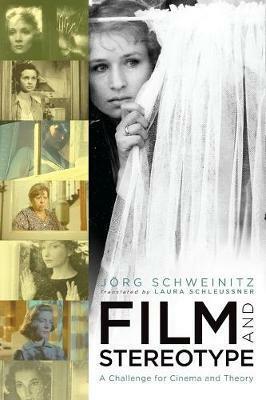 Through detailed readings of specific films, Schweinitz also maps the development of models for adapting and reflecting stereotype, from early irony (Alexander Granowski) and conscious rejection (Robert Rossellini) to critical deconstruction (Robert Altman in the 1970s) and celebratory transfiguration (Sergio Leone and the Coen brothers). Altogether a provocative spectacle, Schweinitz's history reveals the role of film stereotype in shaping processes of communication and recognition, as well as its function in growing media competence in audiences beyond cinema. Jorg Schweinitz is professor of film theory and film history in the Department of Cinema Studies at the University of Zurich, Switzerland. He specializes in the history of film theory and culture, especially silent cinema, and also focuses on narratology in film and genre criticism. He is a coeditor of Montage AV, the leading German-language journal in film theory.